This entry was posted in Contemplation, Writing and tagged Harmony Arts Festival, Lanterns, poetry on August 11, 2017 by shellseeker0913. This entry was posted in Contemplation, Writing and tagged longing, Painting, poetry, Summer, waiting, wellness on January 27, 2017 by shellseeker0913. The penny has dropped. The light bulb has gone on. Redaction and collage are the same. One pieces together the writings of others. The other gathers and glues found images. The author/artist unites them with a few of her own ideas. What could be better? These seem to be very postmodern pastimes. Yet they are each ancient practices. DeSilva a Bible scholar and Rauschenberg a prolific artist of found objects may make strange companions but have worked in similar ways. Redaction criticism of the Gospels pays particular attention to the differences between each fragment of text preserved. These differences cannot be collapsed together without losing the authentic voice of each of the four Evangelists. They serve an important purpose. That said, in piecing together the Jesus sayings, the redactors see that they form a related whole. Presentation of the passage often connects directly with the themes or topics that are of greatest interest to the Evangelist. His mother, Dora, was a devout Christian and a frugal woman. She made the family’s clothes from scraps, a practice that embarrassed her son, but possibly influenced his later work with assemblages and collage. Redaction must be one of the most basic activities of life. Go for the gold then, when a surfeit is received. The opposite venture leads to a ‘less is more’ way. We gather and we purge, write and redact. We create paintings and we sell them. We birth children, then we say goodbye to them. Art and life are collaged by the Spirit. This entry was posted in Creativity, Writing and tagged collage, contemporary art, creativity, David deSilva, Ecclesiastes, Jesus, poetry, Robert Rauschenberg, Scripture on February 19, 2016 by shellseeker0913. Mother’s birthday was on Christmas Day. She would have just turned 90 this year – about the same age as the queen. She has been gone a decade now but I will see her again one day. I felt impressed to buy some yellow roses in her honour this year to have at Christmas. She too was a painter and a poet – a pioneer of sorts. Her favourite flowers were always yellow roses (yet in her old age she changed them to pink). Her own painting of yellow roses and blue delphiniums can be seen in the foyer of the spa at the historic Algonquin Hotel in St. Andrews-by-the-Sea, N.B. where she worked as a young woman after the war. The painting was donated to the hotel in her honour as one of New Brunswick’s own daughters. Mother was one who loved God. She loved life, and children, and painting – probably in that order. In one’s ancestral tree there are particular people who shine. Their love blesses all who come after them. Mother is one of those whose children and grandchildren rise up and call her blessed (Book of Proverbs). that ladies longed for perfume. a present just for my mother. and signed it in cursive. I thought it was the grandest gift anybody could give. This entry was posted in Contemplation and tagged Ann Weems, Book of Ephesians, Book of Proverbs, Christmas, Painting, poetry, Yellow Roses on December 27, 2015 by shellseeker0913. We rely on the eyes of faith or what has been called the prompting of the Spirit – a feeling perhaps or a knowing that something is true without all the facts. I think again of how my Christmas celebration seems so far from what I would like it to be each year. My habit of direct prayer, however, is always answered. I address the risen Christ, the One who was born, lived, died, rose and now lives again interceding for us at the right hand of the Father (Book of Romans). As I go about my preparations for the holidays, I pray to this alive Jesus for something wonderful to happen again this year. I pray that He would give me the best gift on His birthday – a paradox this – as the birthday person usually receives all of the gifts. But turning expectations upside down is nothing new for Jesus. I do rejoice in this. It gives me hope for change for those who struggle – and miracles can happen – especially at Christmas. The Creator of the universe came to be with us – Emmanuel. The gladness is real and spreading. It does not depend on me or my attitude. that this year will be different? cards and presents sent off early? long evenings by the fireside with those we love? Time for our hearts to ponder the Word of God? Moments of kneeling and bursts of song? The peace of quiet calm for our spirit’s journey? that of “trying to do Christmas correctly”! for all we’ve seen and heard! As for the Advent frantic pace, we don’t have time for that. We’ll be too busy singing! This entry was posted in Art, Contemplation, Creativity and tagged Ann Weems, Book of Romans, Brian Kershisnik, Christmas, collage, Emmanuel, Max Beckmann, Painting, poetry, The Nativity on December 24, 2015 by shellseeker0913. As I rest in a pre-dawn reverie a series of images emerge layered upon one another. The first is one of my favourite paintings of William Holman Hunt: “The Light of the World”. The glow of the lamp extends to light my tanned, blue pedicured feet. The thought comes: “Your word is a lamp to my feet and a light to my path” (Psalm 119). I am walking the seawall at night. As I look up, stars dot the night sky. Behind me the ‘pearl necklace’ of the Lion’s Gate Bridge shines across the dark water. The stars turn into tiny orange fires from a poem by Denise Levertov. This is how some of my best paintings have come about. A narrative emerges from a series of images collaged in my mind by the Spirit. This may not ever become a painting. I have more ideas than I could possibly get enfleshed in paint. But I know why I half dream today as turn over again. This is a nodal day; a day I waited for: a rare meeting with a professor about my future after graduation in the spring. The years of workshops and book study groups that have been my praxis to balance my academics have all but dried up. In this time when I could look forward to planning new series of workshops there seem to be no open doors. My last book study group had to be cancelled for lack of attendance. Both of my creative expressions of painting and writing are mostly solitary activities, whether in the sunlit studio or the dark room and lamp lit desk. These are both my default and my scaffolding undergirded by the Spirit’s inner work. Just when I will graduate with a Masters of Art in Spiritual Formation, all that I have worked for seems to have disappeared. The Shellseekers Art + Soul contemplation and creativity workshops are my passion. It is not like I can now just look in the newspaper and find a job. The path of an artist is an organic thing. Yet the path is lit for a little ways ahead. I will paint and write. It is what I do. That does not change. A door ahead will be opened for me to pass these on to others I am sure. Faith and fear are opposites. I have a choice. 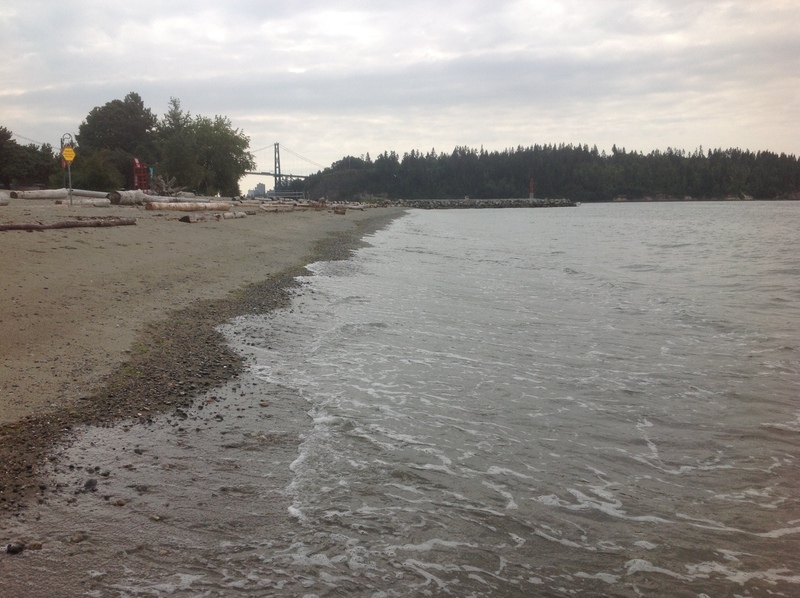 This entry was posted in Creativity and tagged Denise Levertov, Jesus, Life Interrupts Sleep, Lions Gate Bridge, Narrative, Painting, poetry, Psalms, Seawall, spirituality, William Holman Hunt, workshops on December 1, 2015 by shellseeker0913. 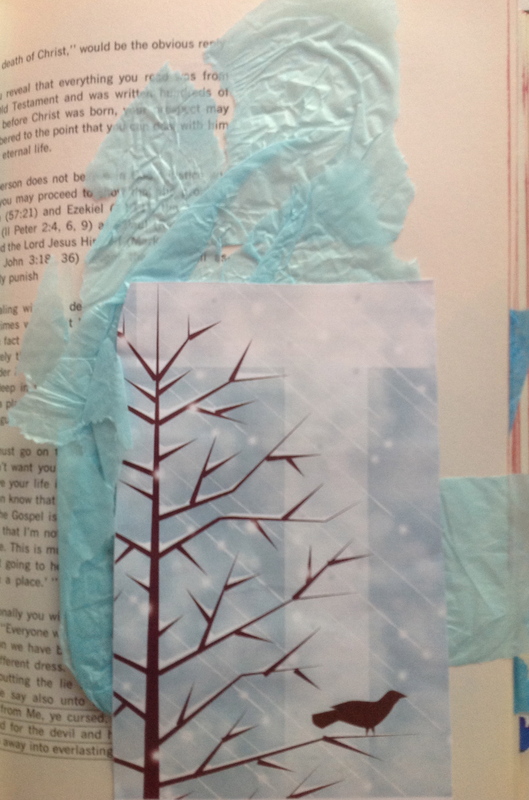 We say goodbye to winter with a mash-up of different art forms on prayer. After all that is what we are essentially all about. This entry was posted in Contemplation and tagged Celine Dion, collage, Contemplative Prayer, Eleonor Farjeon, josh Gronan, Mash-up, Morning Has Broken, poetry, Winter on March 19, 2014 by shellseeker0913.